Even LEED-Platinum buildings can be raised to the next level – to net-zero energy – at little extra cost. It costs just 1-3% more to get there, concludes the study, Net Zero and Living Building Financial Study: A Cost Comparison Report for the Buildings in the District of Columbia. 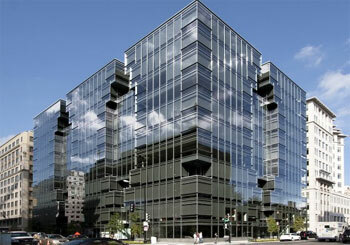 Conducted by New Buildings Institute, International Living Future Institute and Skanska Commercial Development, the report advises Washington DC – the home of the most LEED-certified buildings per capita – on policies that could incentivize net-zero energy, water and Living Buildings in the city. In 2012, California Governor Brown issued an executive order requiring half of new state buildings to be net-zero energy starting in 2020 and all new state buildings and major renovations after 2025. "The findings are eye-opening. It presents us with a policy framework that will help us achieve our goal to slash energy use to half of what it was in 2010 by 2032, and provides us with the data to back it up," says Bill Updike, green building specialist for the District’s Department of the Environment. "This report will aid our efforts to further advance the building industry toward more resilient, restorative facilities." Researchers looked at new construction and renovation for office buildings and new multifamily buildings. They modeled the results using existing buildings in DC. New developments can consume up to 60% less energy for only 1-3% of additional cost and for 5-19% more, solar can be added. Besides saving water, eliminating stormwater runoff, also makes buildings more resilient during catastrophic storms. Create incentives for deep green buildings and remove regulatory obstacles; launch a pilot program for deep energy retrofits. "One way to do this is to focus on policy encouraging deep energy and water efficiency in new construction and major renovations, and provide clear targets and incentives for private developers," notes Amy Cortese, senior program manager at New Buildings Institute. A net-zero goal isn’t appropriate or feasible in every case, Skanska points out, designer of one of the first Living Buildings, the Bertschi School Science Classroom in Seattle. "When considered in isolation, even ultra-efficient 300,000-square-foot buildings with today’s onsite renewable energy technology can’t generate as much energy or collect as much water as they consume over the course of a year. These buildings would require up to seven equivalent rooftop areas to achieve net zero. And achieving net zero is not only a matter of design; it also requires careful attention in such areas as operations and maintenance." "At the Institute, we are constantly asking ourselves and all those we encounter, what does a good building look like? What does it do and not do," says Richard Graves, executive director of the International Living Future Institute. "The answers have varied from year to year and place to place. Whatever the circumstances, people have been very clear that good must continue to evolve from resilience to restoration." Washington DC Mayor Vincent Gray also announced the first year progress report for Sustainable DC, the city’s 20-year sustainability plan. Of the 143 action items, 83% are underway, and 10 new green schools opened. An $8 million Sustainable DC Innovation Challenge involves 21 agency projects to reduce stormwater runoff, increase urban agriculture, and incubate new, local food businesses. 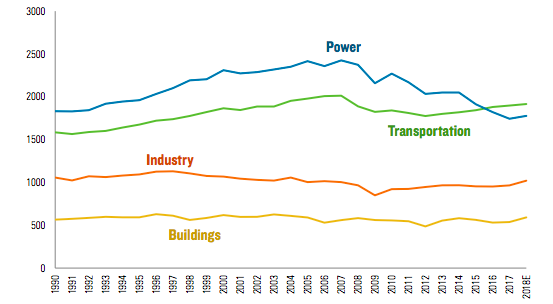 As of 2012, DC has cut greenhouse gas emissions 18% from 2006 levels, an average of 3% a year.